To transfer the trend material Corten – meaning steel covered with rust – to a front door has been a special challenge. After all, you want the ingenious optics, but not the inevitable abrasion which occurs at contact. The company Rodenberg Türsysteme has solved this challenge by re-building the highly sought-after optics in long tests with ceramics materials. 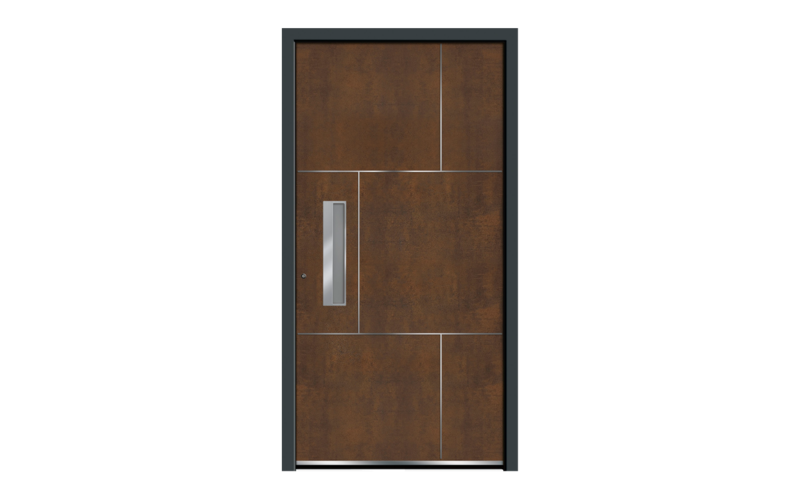 The result: a door panel which looks like Corten even at a close look, but features none of the disadvantages of the material.